In my previous 2 posts, I wrote that failure is in the eye of the beholder and there is no failure, only feedback. In this post, I propose that we need to take responsibility for our part when our project fails, but only for our own contributions to the outcome. We should never shoulder the responsibilities of others or blame ourselves for conditions that are outside of our control. It takes a village to fail a project. If an organization’s leadership is truly committed to the success of a project, it is nearly impossible for it to fail. Without such commitment, it is a miracle when it actually succeeds. When that happens, it is usually due to the tenacity and determination of a stubborn project manager, core project team, and few other committed stakeholders. Resistance to change is a reality that we can’t ignore. Just like the human body has an amazing immune system that protects it from what it thinks are harmful threats, organizations have their own immune system that defends the “as is” and preserves the status quo. And just like the human immune system can sometimes turn against its own body and attack it, your organization can see your project as a real threat. Another reality of leading projects is that conditions on the ground change without our permission. Some projects start as a good idea but then support for them wanes, market conditions change, or they become unfeasible. Some projects will start as a bad idea and will continue to be a bad idea, until someone has the courage to kill them. The sooner such projects fail, the sooner the organization resources can be deployed for better use. When this happens, everyone should celebrate. Because ending such projects should be considered a success. We can either argue with reality or accept it. The choice is ours. It makes no sense to continue fighting for lost causes. Yes we need to enter every project with the mindset that it is impossible for it to fail. But we also have to be smart about recognizing that there are forces that impact our projects that are far and beyond what we individually can control. Hi Samed. I agree with the sentiments of your post. There is a silly notion out there that a failure to deliver should be directly translated to a fault by the project manager. As if the project manager is a superman/woman with all encompassing powers; powers he/she did not utilized effectively – hence the unavoidable failure. This is so simplistic, yet so widely accepted that it borders on the ridiculous. 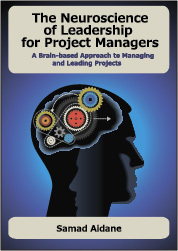 Those who look to automatically blame the project manager for failing to deliver will be, most likely, the same one who did not lend a helping hand to ensure the project is delivered successfully and better look in the mirror when attempting to apportion blame on others. Shim, Thank you so much for your comment. You are so right, I have seen it so many times when, like you said, those who blame the PM are the same people who fail to lend the support when it was needed. Unfortunately, the the Superhero Syndrome is alive and well among project management practitioners. So true. I think it was Rick Morris, who I interviewed few months ago, that said that as Project Managers we take 10% of the credit when projects succeed and 90% of the blame when they fail. Thank you for your comment.